sailboat. : March Empties & Mini Reviews. These were really brilliant on my slightly oily hair. The shampoo cleansed thoroughly, although my hair definitely felt like it needed a good condition so it's perhaps not one for dry hair types as the label suggests. The conditioner was lightweight but certainly moisturising enough without leaving my hair feeling heavy. I'll definitely look into the range again when I next need a shampoo & conditioner. This little sample size came in a beauty box and I happily gave it a try. I've never really got on particularly well with Liz Earle products apart from their foundation, and this is far from my favourite shampoo. It was nice, but I wouldn't invest in the full size. I finally burned through my final candy cane lane candle. I'm a little sad to see it go, but it's definitely a very seasonal scent and not the most appropriate for spring. 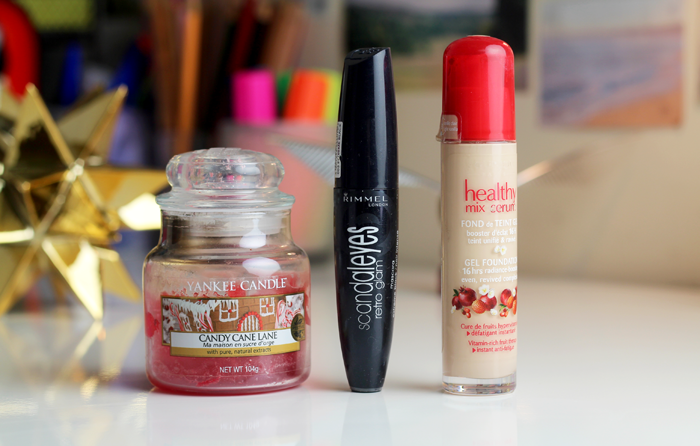 Rimmel mascaras always seem to take forever to dry on my lashes, even when the tube is a couple of weeks old. I always love the end result but I always end up smudging it everywhere accidentally, which is a bit annoying and I find it's not really worth the extra effort. I loved this foundation for so long. It applies so smoothly over dry skin leaving a dewy, glowy finish. I would absolutely repurchase but I'm trying to be more mindful with my purchases and only buy from cruelty free companies from now on. It's a shame you didn't get on with that Liz Earle shampoo, it's one of my favourites! 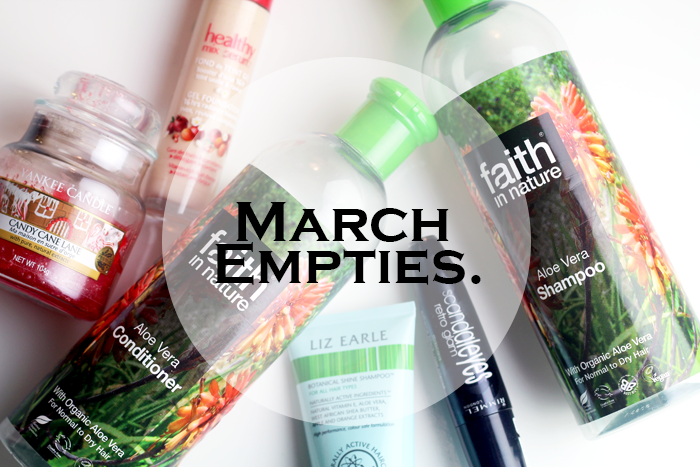 Great minds today as I published my March empties too. 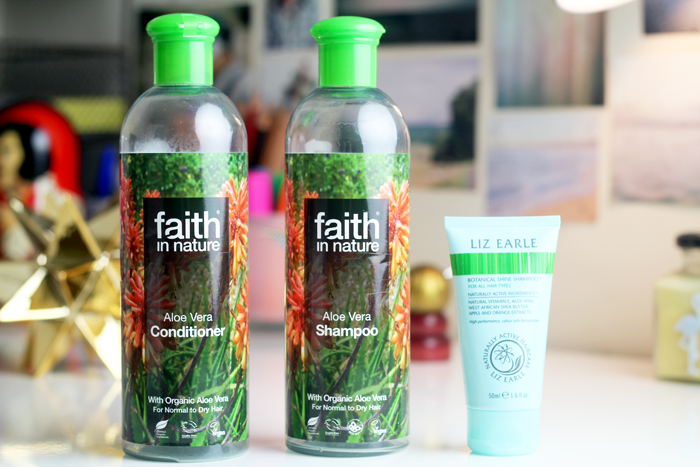 I'm not a fan of Liz Earle's shampoo, it did nothing for my hair. Props to you for managing to try downsizing. I'm trying to do the same with skincare at the moment and it's so hard. I've heard Rimmel mascaras are rather hit and miss. I haven't tried any yet because I always get put off by reviews, which isn't always a good thing. I've resolved to try Healthy Mix this summer. Although it's sad to hear Bourjois isn't cruelty free. Great reviews. I found the rimmel mascara very difficult to remove even is not the oil based one. never try any of the products above before, but would definitely wish to try bourjous healthy mix serum foundation as i read several beauty bloggers reviewing it in a positive ways.. It is such a good feeling to downsize and finish off old beauty products that clutter up your draws. And then you can buy more :) well that's my theory.. I know it may seem like a strange thing to say but I like how you have a real mix of empties at the end of the month unlike where where I stick with the same tried and tested products again and again.